The Guiness Book of World Records holder for the priciest pair of jeans is none other than Gucci’s Genius Jeans. While a pair of Levi’s can be bought at $20 at Wal-mart stores this denim is priced at $3,134! But this was taken off the rack by Escada’s Swarovski crystal-studded jeans which sell for US$10,000! A lot of women and some men are ever willing to pay so much for a pair of jeans, without much thought, but the truth of the matter is there’s more to jeans wearing than just the brand. Even fashion experts themselves come up with fashion jeans that reach out to the more practical people. Truth to tell, those uber expensive jeans are no more than glitters for the catwalk. You should check out Bootlegger.com. The site that is always updated in today’s latest trends. The company started back in 1971 and is one of the most successful national retailer in Canada that provides the best jeans and just about everything that goes with jeans. Today’s woman is practical but fashionable. So if what you are after is great value for your money, Bootlegger is the site for you, where value and style go together. 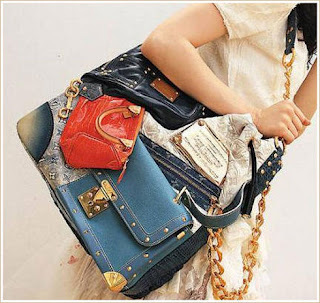 This is the most talked about Louis Vuitton Tribute Patchwork Bag in 2007. Only 24 pieces were produced which sold out in no time at the staggering price of $45,000 a piece. 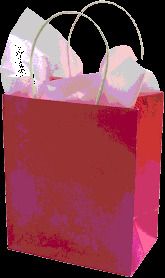 A lot of critics told it off as no more than an oversized lousy patchwork bag that happen to just have the brand of LV. What do you think? The first time I heard About the Science of C’elle’s revolutionary research, I felt blessed over again that as a woman there’s even more to just mere childbearing that I can actually contribute to the world and with the fact that the source is from the very inconvenience all women within childbearing age go through every single month. Why not go over their site now and learn about stem cell research, how stem cells gives your body the ability to have like a spare part of your different organs. There are actually stem cells from our monthly period we just discard month after month. If you watch this C’elle Client Testimonial, you will see how this revolutionary stem research has gone really big and you will be amazed how such supposedly “waste” can actually save lives. There is just no reason to hesitate taking that step of buying the kit for collecting what could potentially heal diseases that you or your loved one might have in the future. Diseases like Parkinson’s, Alzheimer’s even diabetes and heart diseases. Learn more as you browse through their site. Goodbye SLS! Hello Honey Propolis Shampoo by Ilog Maria! First, Sodium Lauryl Sulfate (SLS) and Sodium Laureth Sulfate (SLES) are currently known as the killers in our bathroom. We’ve had these ingredients for as long as I can remember. When I first read about the dangers of these ingredients when I was still prego with our kiddo, I swore I was never going to use any stuff with these killers – and that I did. Can you imagine even the good ‘ol Johnson and Johnson’s Baby Shampoos and even those supposedly baby baths have these evils stuff in them. Obviously the youngsters that going bald after using these supposedly baby products, is not very surprising. Even my own mother told us that my sister got bald around the top of her head when she was around two because her nanny applied shampoo (Johnson and Johnson’s) directly to her scalp. Mother said that the shampoo should have been diluted in water. Which is all together outrageous! I mean if a shampoo claims to be good for babies and even good for human, then no special something should be done to make it safe for babies! Apparently SLS and SLES are very effective foaming ingredients or what we call surfactants. And big companies use this primarily because it is cheap and the potential to generate more income is greater if they use cheap ingredients that do the job. Watch out for a detailed report on the dangers of SLS and SLES to our health. Meanwhile here is the stuff we use around our home. Honey Propolis Shampoo by Ilog Maria. For the record, this is not a paid advertisement. I use nothing else on our son’s hair and I hope to raise awareness to my dear readers on the ill-effects of our usual commercial products and make a buzz as well that there is a choice for us and not just live with what we got used to. I figured people continue to patronize the usual bad products because they think they have no choice. Don’t let the commercial rule your lives. Here’s the stuff straight from the Ilog Maria website. Handmade in our Beefarm from natural ingredients: Honey for conditioning &hair growth. Propolis for scalp infections, dandruff, falling & greying hair. Natural oils like palm kernel oil, castor oil and coconut oil for gentle cleansing. Aromatherapy grade essential oils from herbs and fruits nourish and heal your scalp, while fighting skin ailments. Place a small amount of our natural shampoo in your palm. Work into a rich lather in your hair. If no bubbles form, this is because our natural shampoo is reacting with and eliminating all the residues from commercial shampoos, hair oils, grime. Rinse out thoroughly. Then put a small amount of shampoo again, work into a rich lather. Keep lather on while bathing the rest of your body. Rinse well. For the very best hair conditioning, nothing can beat two sliced kalamansi. Their pulp and skin have enough limonene oil to condition your hair naturally, perfectly. Rub the juice, pulp and skin oils into your hair and rinse very well. This will leave your hair soft and shining without the residue of commercial chemical hair conditioners. 1.MSI WIND MINI NOTEBOOK (black or white) – actually this is for the hubby. But since it’s ultra compact and looks so pretty, I might just bargain to exchange this for my current all too masculine megabook MSI. 2. N82 or iPHONE 3G (whichever is cheaper) – this will allow me to access the internet on mobile. 3. wii – with wii fit, as opposed to PSP that practically zombifies its player, wii allows physical movement and even family fun. I would have my kid play this rather than a PSP. Plus, I will finally be able to do my workout without having to step out of the house. How convenient! 4. BABY DOLL BY YSL 3.3oz. – my favorite scent of all. I never got to buy a second bottle since the first one I bought. It’s just a little too pricey here. Seems easy, but are we really doing it the way it should be done? There’s more to wearing lipstick than just rolling the stick over to your lips. Here’s a simple step by step guide to creating the classic red lip. Try it yourself and be a stunner! My motto to make up wearing is this, if you are ever going to wear make up, wear it right or not at all. Please note that if you decide to play up your lips (read: highlight and make it stand out like this red lip tutorial) , make sure you play down your eyes. No smokey look, nothing loud. It gives balance to the overall look. Everything in excess is an eye sore. Apply lip conditioner to the lips. Create a “V” over the cupid’s bow with liner. From the tip, trace the natural lip line down to the corner. Mark liner on the bottom lip line at the center. Trace from the bottom lip line to both corners. Drag the color in using lip liner to prevent separation of the liner from the lipstick. Coat lip brush with lipstick. Evenly fill lipstick within the lines. The lipbrush is the key to precision. Touch up the edges with lip liner. Blot with tissue to absorb excess moisture. Voila! The classic red lips. French nails was coined in 1975 by a Los-Angeles based Orly International. As for their reason, it could be anything really. Plus the fact that the “French” description can easily mean class and big bucks. That could be the two reasons that I could personally think of, given the fact that the particular nail fashion has absolutely nothing to do with France or the French people, aside from its borrowed name. If there’s anything, this classic nail fashion has been tested through decades of existence. It is still considered classy and elegant up to this day and age. Its clean and yet polished look makes it a stand out. It seems as if all things French can easily get away with anything. Think about fashion and food for instance. From all those strange but adorable haute couture fashion to those yummy transfat laden fries.